Jack B. Schoff passed away unexpectedly on April 10, 2018, at his home in North Berwick, ME. Jack was born on April 23, 1944, to Clinton and Lena (Gaudette) Schoff. He attended both Central School and Berwick Academy, after which he proudly served his country in the U.S. Army. Jack was subsequently employed at the Portsmouth Naval Shipyard from which he eventually retired and began pursuing his hobbies and passions. Jack gave back to his community by volunteering on the South Berwick Emergency Rescue Squad alongside his brother, Clint. Having gained a love and talent for cooking from his mother, Jack owned and operated a very popular lunch wagon aptly named, "Jack's Lunch". He proudly supplied home-cooked nourishment to various job sites as well as feeding the locals from his parking spot in the center of town. Jack, a self-taught musician and superb guitar player, possessed a natural ability and passion for music, particularly old country and rock and roll. In his later years, he learned to navigate a computer and his many Facebook friends looked forward to his hand-picked, "Remember When?" song of the day. Jack was an avid outdoorsman and expert marksman who hunted throughout his life, first as a child with his father and brothers, then with his own sons and finally alongside his beloved grandson, Ryan. He loved to share his hunting tales. He fondly remembered the rabbit, moose, and bear hunts he shared with his family. Jack loved a bargain and looked forward to yard sale season every year. Without even realizing it, but unable to pass up a good deal, Jack accidentally began collecting clocks, picking them up for a song and tinkering them back to full working condition. As his home began to fill with the tick-tocking of his growing collection, his young granddaughter, Taylar, had an idea. She began researching and discovered that there was a category in the Guinness Book of World Records for which she felt he would qualify. 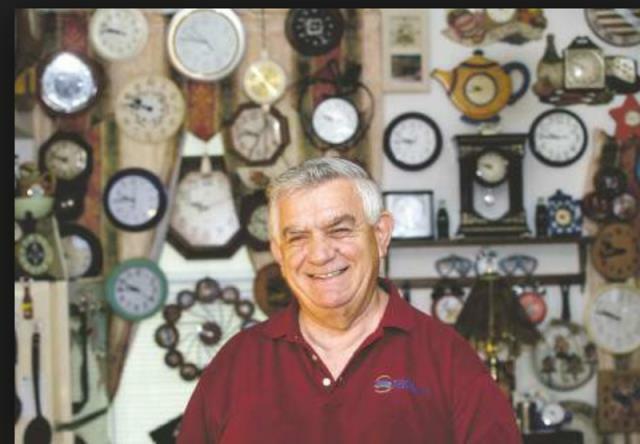 Taylar encouraged her Bumpa to apply for the honor and was as excited as he was when in 2008 he became the holder of the World Record for the Largest Collection of Working Clocks. Jack enjoyed his celebrity status and gained national recognition along with the nickname, "Clockman". Jack also enjoyed the excitement and socialization of the local Bingo halls. He began attending many years ago with his mother and most recently could be found at the Seacoast Bingo on Thursday nights with his buddy, Steve. He arrived several hours early to ensure he got his reserved parking spot as well as his reserved seat. Jack's considerable luck at the game earned him yet another nickname of "Jackpot Jack" with people sitting on the edge of their seats waiting for him to yell out, "Bingo"". The friends he made at Bingo meant very much to Jack and I'm sure they'll miss the candy treats he set out each week as a sure way to attract the ladies! Jack lived a full life and will be remembered for his love of family, his quick wit and his sense of humor. He is survived by his sons, Glenn and his wife, Sadie, and Jimmy and his wife Tami with whom Jack shared a special relationship. He also leaves behind his beloved grandchildren, Courtney, Taylar and Ryan who were certainly the light of his life. Jack will be sorely missed by his surviving siblings, Anita (Robert) Gagne, Bonnie Ham, Connie Lee and Tina (Steve) Lincoln. He was predeceased by his parents and siblings Kay Scanlon, Clinton, Wayne, and Gary Schoff. Per Jack's request, there will be no calling hours. There will, however, be a graveside service at Woodlawn Cemetery at 11 a.m. on Saturday, May 12th in South Berwick, Maine. A Celebration of Jack's life will be held immediately following at the South Berwick Senior Center.